"Samsung is starting their roll out of Windows Phone 7.5 (Mango) devices." 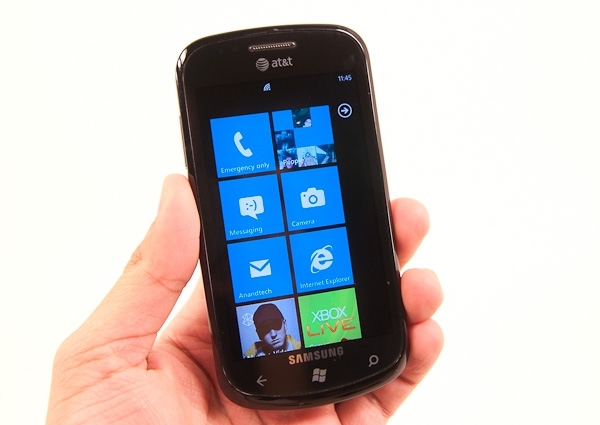 Samsung's Focus Windows Phone 7 phone is among the top seller in the WP7 line. Now, Samsung is looking to continue that success with the release of the Focus S and Focus Flash. Both devices are destined for AT&T. The Focus S will be sporting a 4.3 inch display while the Focus Flash will be 3.7 inch. Both displays will be of the Super AMOLED variety and both will have front facing cameras. And, just so current Focus owners aren't left behind, AT&T has announced their customers will be among the first to be updated to Mango. So, which Windows Phone will you get? Samsung, HTC, Nokia...? I am considering the Samsung Focus S, when it will be available SIM frre of course. Not big improvements over HD7 but I hope the screen will be easier to read. And I will get one only if Samsung will retain the swappable SD memory. There is no "swappable" SD memory in the current Focus. I'm sure you understand that when you put an SD card in there you need to fully hard reset the device for it to be integrated into the system. Once in, taking it out breaks the system, untill it is fully hard reset again for use without the card. The card at that point is all but useless in anything else, as it has been specifically formatted and locked. Very little can unlock it, and reformat it for general use. So swappable is not an adjective I would apply to the process. Beyond that there still is no officialy supported microSD card. I have heard of some AT&T stores having some labelled as such, bu I don't think you will find any so designated on any SD card manufacturer's site, Samsung's or MS's sites. Point is, no authority officially warranties any particular card as working. Many of us have had good luck, but bad luck has occured, resulting in some folks having a small useless piece of plastic. Not to disuade you from the Focus (my primary phone, with 16G SD card), or any other WP7, just wanted to make sure you are aware of the SD reality. Last edited by Sven Johannsen; 09-14-2011 at 03:26 PM..
You are right: swappable is the wrong word, replaceable is better than changeable and so on. As for what you can do with the old card there is a Nokia utility, I had on a very old phone, that perfectly format the SD card and make it usable again in another device. Yes there are no "Officially" supported card but.... I used a 32GB, Class 4 card on my HD7 and works flawlessy. Average consensus is that lower class SD cards work better than high class ones. The main advantage of the Samsung approach is that you do not need to play the "Surgeon" role to replace it.